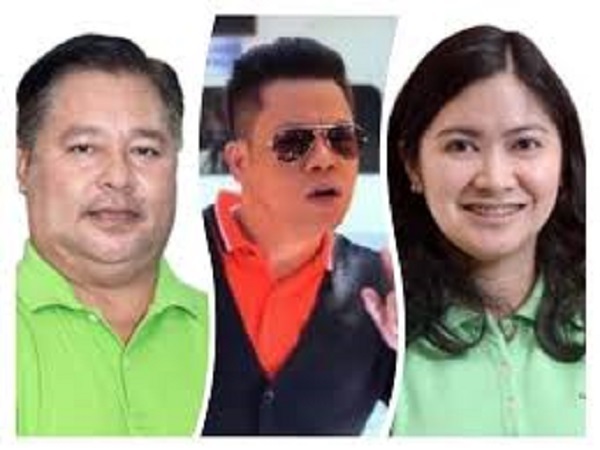 OZAMIZ CITY – Mayor Reynaldo Parojinog Sr. denied having any family or business ties with New Bilibid Prisons inmate Herbert “Ampang” Colangco whom President Duterte has tagged as belonging to a triad running the illegal drugs trade in the country. Parojinog admitted that his daughter, Ozamiz Vice Mayor Nova Princess Parojinog, has a relationship with the imprisoned drug lord Colangco, which he disapproved of. But he is also debunking media stories that Nova Princess and Colangco are married. Nova Princess had just been granted an annulment of her marriage to former basketball player Edgar Echavez, who played for the Ginebra Kings in the Philippine Basketball Association. He is now the chairman of Barangay San Antonio in this city, Parojinog said. “I welcome any investigation so that I will have the opportunity to clear my name,” Parojinog added. Duterte may have been referring to Parojinog’s daughter Nova Princess, who was elected to a second term as vice mayor in the recent elections. Speaking to local reporters on Saturday, Parojinog said Nova Princess could not have married Colangco because she just had her marriage annulled. In the same interview, however, Parojinog confirmed a relationship between Nova Princess and Colangco, which he wished would end. Colangco has been linked to several bank robberies in Metro Manila and is serving time since 2009 at the maximum security compound of the New Bilibid Prisons although it has been exposed that he receives special treatment in violation of penal laws regarding his status as a convicted criminal serving time for a capital offense. Duterte had said that Colangco, along with another inmate, has been running his illegal drug business from inside prison, even manufacturing shabu (methamphetamine hydrochloride) there. Parojinog has been issuing statements he is “serious in our drive against illegal drugs in the city.” He pointed out last Saturday that was his main program when he first became mayor in 2001. During that time, he emulated the strategy espoused by former Manila Mayor Alfredo Lim to spray-paint the houses of identified illegal drug traders. At that time, police estimated the local shabu retail trade as worth at least PhP2 million per week, mainly from students and young professionals. This was when the street value of a kilogram of shabu here was also estimated at PhP1.2 million. When it was still unavailable in other areas, small shabu packs were already introduced here and sold at PhP100. This, according to authorities then, contributed to the surge in consumption. But apart from catering to local demand, drug traders here, according to Parojinog, also bring supply to neighboring localities, like Lanao del Norte, Zamboanga del Sur, Zamboanga del Norte and the rest of Misamis Occidental. Also on Friday, some 1,200 suspected pushers and “runners” trooped to the City Hall and turned themselves in for “processing” by the police. Since his name was dragged into the illegal drugs controversy, Parojinog lamented that he had become fair game for bashing by his political opponents.